Contact Solutions is a leading provider of cloud-based voice and mobile customer care solutions. With a focus on customer engagement that’s effortless for the customer and sustainable for the enterprise, its solutions help reduce effort through highly personalized self-service and agent-assisted experiences, all provided at the convenience of the customer. Leveraging business intelligence to continually improve and optimize customer care, Contact Solutions helps today’s enterprises protect their customers from fraud and achieve superior results at sustainable cost, while adapting quickly to rapidly changing customer demands. Tim McCurry, Director of IVR Solutions at Contact Solutions, shares his insights on what major fraud issues the government should be aware of, and how government agencies can prevent fraud. WashingtonExec: How long have you been at Contact Solutions and what is your role? 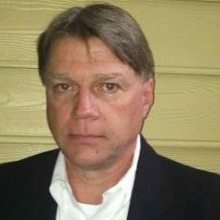 Tim McCurry: I have been at Contact Solutions for three years and lead the voice automation product management efforts. In addition to dynamic cloud-based IVR functionality, my responsibilities include customer interaction business intelligence and adaptive personalization tools, and using data analytics to detect and prevent fraudulent activity. WashingtonExec: What are the different areas the government focuses on for fraud prevention? How does Contact Solutions fit? Tim McCurry: Government programs face many of the same kind of attacks that plague the private sector. According to the Identity Theft Resource Center there were 781 data breaches in 2015 including 164.4 million social security numbers compromised and over 800,000 credit cards. Identity thieves often obtain the name, address, phone number, email address, and birthdate of their victims. These same identity thieves can use the Social Security Number to gain access to many government programs where they can attempt an account takeover or engage in enrollment fraud. Government programs are vulnerable to the same identity theft, account takeovers, enrollment, and lost/stolen card fraudster attacks that commercial organizations may experience today in our complex and highly digital consumer environment. Additionally, some government programs are rife with benefit trafficking. Typical fraud prevention solutions help organizations identify and manage fraud once the activity has occurred. Many existing fraud detection processes rely on transaction processing solutions that flag suspicious purchases. Others focus on cyber security issues, where digital web interactions and data are compromised. In many cases, the government agency is not aware of any fraud until the beneficiary notifies them of a fraudulent transaction or the agency identifies a breach after it occurs, when it’s too late to do anything about it. Contact Solutions addresses that missing gap in the fraud stream, focusing on the actions that fraudsters may take once they’ve acquired a citizen’s account and personal information—as they are phishing and infiltrating accounts. Our fraud prevention is built on an algorithm that detects suspicious caller behavior by analyzing over 60 parameters in order to identify potentially fraudulent activity. Contact Solutions processes over a billion benefit program calls a year for government agencies. We have a unique ability to look at activity across programs while they are happening—before the fraud loss occurs. Using behavioral analytics, we can identify fraudulent patterns across similar programs and adapt to changing tactics in real time. Our unique position enables us to identify organized groups and individual, sophisticated fraudsters who are attacking one or multiple programs. With our solution we provide analysis, threat level reports and real-time action automated within the IVR self-service to eliminate the threat without impacting the customer experience. And best of all, we do this in a multi-layered approach upstream from existing processes, which results in significant savings and enhanced security for the individual beneficiaries and the agencies that serve them. WashingtonExec: What can we expect from Contact Solutions this year? Are you working on any new/exciting projects? Tim McCurry: Contact Solutions will continue to use our extensive data analytics capabilities to enhance our core products including our fraud solution. We are actively engaged with government agencies, our BPO partners, and other clients to identify new ways to leverage our Adaptive Fraud Prevention to reduce federal, state, and constituent losses. Looking at additional real-time automation to detect and prevent callers from fraudulently accessing accounts, and improving digital engagement interactions are other areas of focus for us. WashingtonExec: What are the major fraud issues governments should be aware of when it comes to EBT programs? Tim McCurry: Electronic Benefit Transfer (EBT) programs are the primary way government agencies deliver cash benefits to their constituents. For example, SNAP is the nation’s largest nutrition support program serving 46 million people. That’s a large number of beneficiaries receiving a significant amount of benefit dollars each month—many billions overall—in a market ripe for fraud. EBT programs present an additional problem with benefit trafficking. In a typical scenario a cardholder will sell their SNAP benefits, often to a retailer or individual trafficker, for $0.50 on the dollar. Buying and selling SNAP benefits is illegal, but it can be difficult to detect. However, Contact Solutions uses data analytics to help identify both the buyer and seller of the benefits when they call into the IVR. Adding this automated fraud prevention tactic to a government agency’s arsenal of tools improves the integrity of the program and minimizes illegal use and loss of benefit dollars.